The re-release of the iPhone 6 with 32 gigabytes of storage is expanding into another territory, after launches in India, China, and Taiwan in recent months, with a premium reseller offering the unusual-capacity handset to customers in Belarus beginning next week. The version on sale by i-Store will cost 999 rubles ($520), when it goes on sale, including free delivery in Minsk, and will only be available in Space Gray. Other than the 32GB capacity storage, and the name of iPhone 6 (2017), the revived device has the same specifications as the original, and will run iOS 10 out of the box. 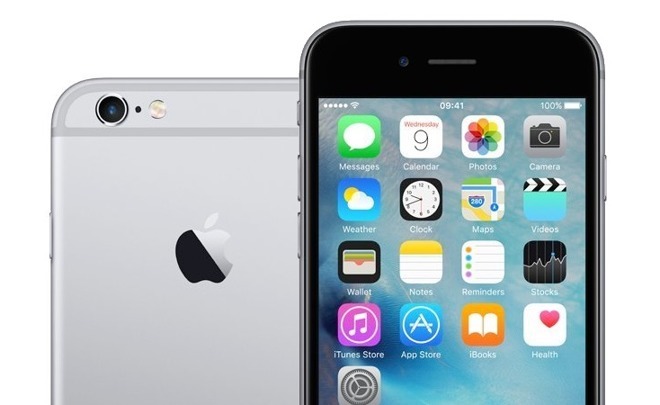 The price may be considered a bargain compared to the prices of other iPhones in the country. According to local blog 42.Tut, a refurbished iPhone 6 with 16GB of storage will cost 1,200 rubles ($625), and the iPhone 6s with 32GB of capacity sells for 1,629 rubles ($800). The appearance of an updated iPhone 6 in Belarus follows similar launches in India, China, and Taiwan, where the 32GB model is offered to consumers in each market, without the option of changing the color. Just as with the sales in the earlier three countries, this specific model of iPhone 6 is only being sold through one outlet, and not through Apple's own retail channels. It is unclear exactly why Apple is selling brand new units of the older iPhone in this way, but it is notable that the sales are carried out in what could be considered emerging markets. In these areas, consumers are more likely to buy cheaper smartphones instead of paying premium prices for a recent iPhone, so this could be a play by Apple to increase its market share by offering a lower-cost device. Aside from these recent sales, Apple has not sold a 32GB iPhone 6, with it initially offered in 16-, 64-, and 128GB capacities. Given the extremely limited release of these devices, as well as the relatively better economies of Western markets, it is unlikely that Apple will be bringing this particular model to more developed markets anytime soon.